Summer’s just about here. As the days grow longer, the weather grows warmer, and the nights grow less chilly, outdoorsmen and women are heading back out into the wilderness to take in the sights, sounds, and (sometimes) smells of a renewed wilderness, bringing with them a host of new and innovative gadgets. Camping gear can be as versatile as the people who use it, and one person’s choice of gear says a lot about their lifestyles. Take tents, for example. 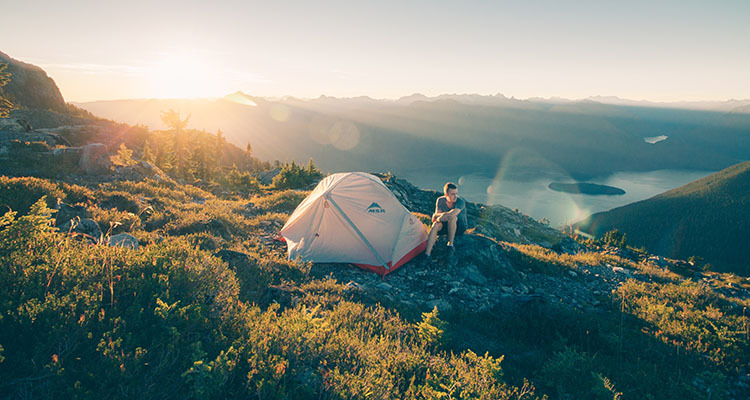 Some people deploy massive canvas condominiums for themselves, other people can only bear to go out into the wilderness ensconced in an RV, while still others are comfy with just a tiny one-man tent or even just a tarp. There are a few campers and adventurers, however, who take getting close to nature even farther than many of their other tree-hugging counterparts. These courageous souls venture into the wilderness with few pieces of camping gear, preferring to slum it in the rough – far from any roof (or pair of clean underwear). They are the brave, the few, the frequently damp. They are the tentless. Are you thinking of going tentless this summer? There are a bevy of advantages and experiences you’ll be able to derive by leaving your canvas at home. For one thing, you’ll be treated to nighttime experiences exclusive to those who shun the tent. You might experience a dazzling planetarium of stars above your head, hear the sounds of the nightlife around you, and feel the first warmth of the sunrise as the day breaks. Camping without a tent means that you’ll also be freed from the need to grapple with the complex and byzantine process of setting up a tent in the first place. That said, there are some major drawbacks to going tentless that even the most experienced outdoorsman might want to cover. For one thing, it’s highly advised to check the forecast before you go camping without a tent. One wrong low-pressure system can spoil your whole weekend – leaving you soggy and cold without much recourse. If you’re not sure about what your local forecast holds, you can always bring a tent with you as a last recourse and sleep outside, retreating into warmth only if it starts to rain. Going tentless depends on a) where you live and b) where you’re going to camp. Sleeping without a tent means that you’re bound to encounter some nighttime visitors, and the onus will be on you to take precautions. Depending on where you are, this might take the shape of bear deterrents like noise traps or even sprays. And don’t forget to spray yourself liberally if you’re sleeping in mosquito country, lest you wake up covered in bumps. Going tentless isn’t for everyone, but those of you who are willing to leave the tent behind will find yourself rewarded with a one-of-a kind camping experience. And if none of this appeals to you, then buy an RV and hide inside it for a weekend. It’s sort of like camping, right?